Two years ago I was on the road in the Southern Brazil. This was when, by default, I decided to visit some parts of Uruguay and Argentina. I always wanted to visit the ‘Southern Cone’ as they call the region of the southernmost countries of America, given the magical realism literature I was into, people I met in Barcelona coming from there and simply: curiosity to discover the most distant and remote places of this continent. 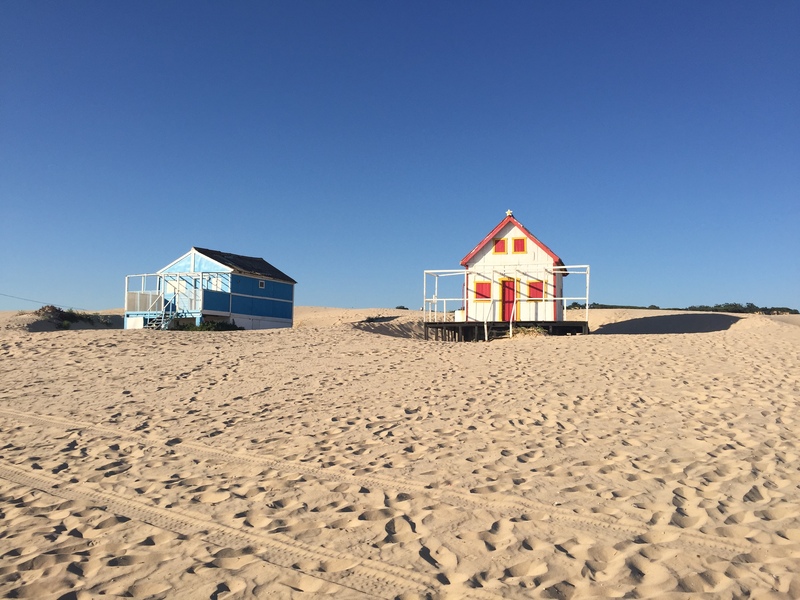 This post gathers some memories full of sun, ocean breeze and laughter of a few days I spent with my friend Jimena in the Eastern Uruguay. I met Jimena years ago in Barcelona and she was one of these people I instantly felt that I can get along with easily, so I was very sad when I learnt she was leaving town. I promised her the visit in her home country Uruguay though and – sooner than expected: I kept it. 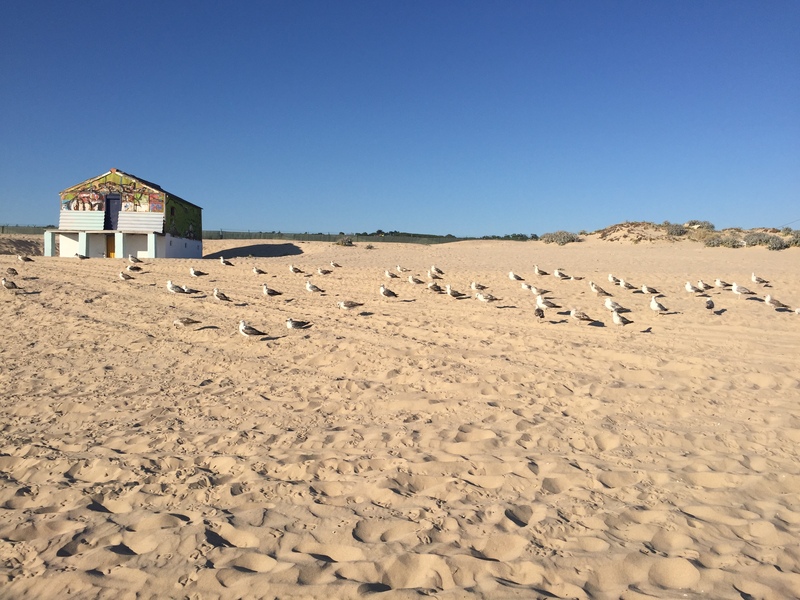 I was lucky enough to visit Jimena in a very remote, and charming location some 300 km east from Montevideo: Paloma, near Cabo Polonio. 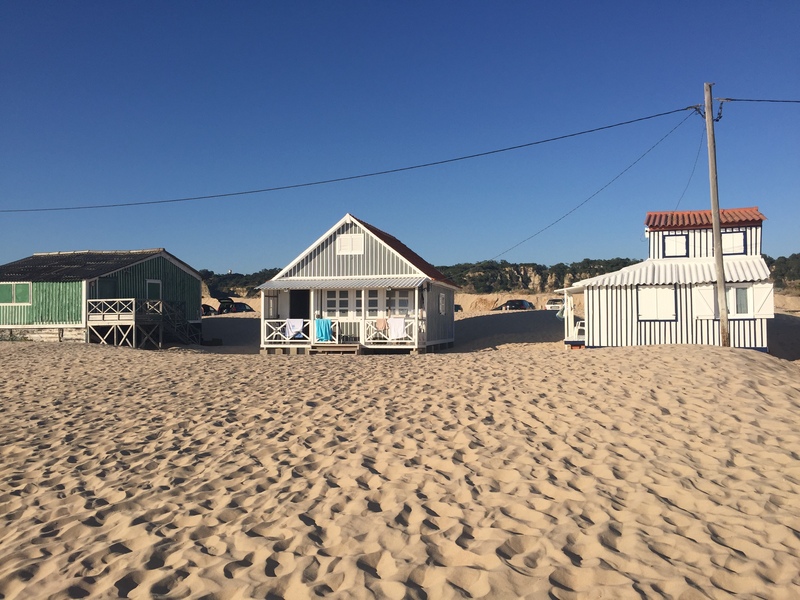 Cabo Polonio is a peninsula where the colourful, wooden architecture is preserved, and you can’t get there by the land road, only via natural park and beach, where access is limited. 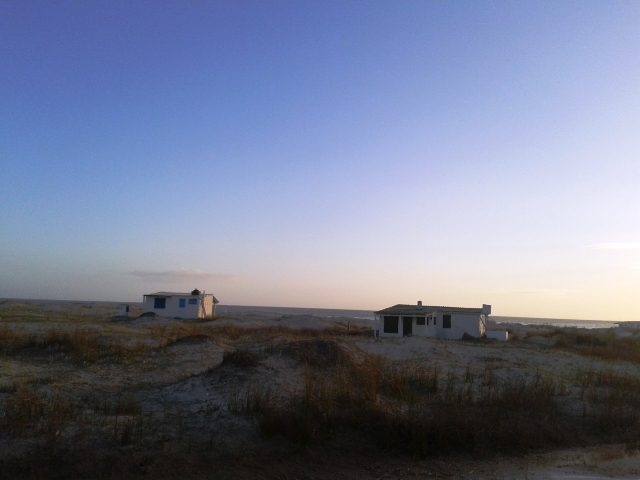 People live there in peaceful surrounding of the Atlantic Ocean, endless remote beaches famous for spotting whales passing by this latitude regularly. In the wintertime sea lions and seals are also quite often seen guests. I would like to dedicate this post to Jimena thanks to whom I could live the perfect ‘local authentic’ experience of a few days so close to the nature, living in a settlement which looked like a moon valley (see above), eat delicious fresh & sea food, and most importantly share precious moments together. As Jimena loves Portuguese much as I do, I’ll only say: muito obrigada, amiga! 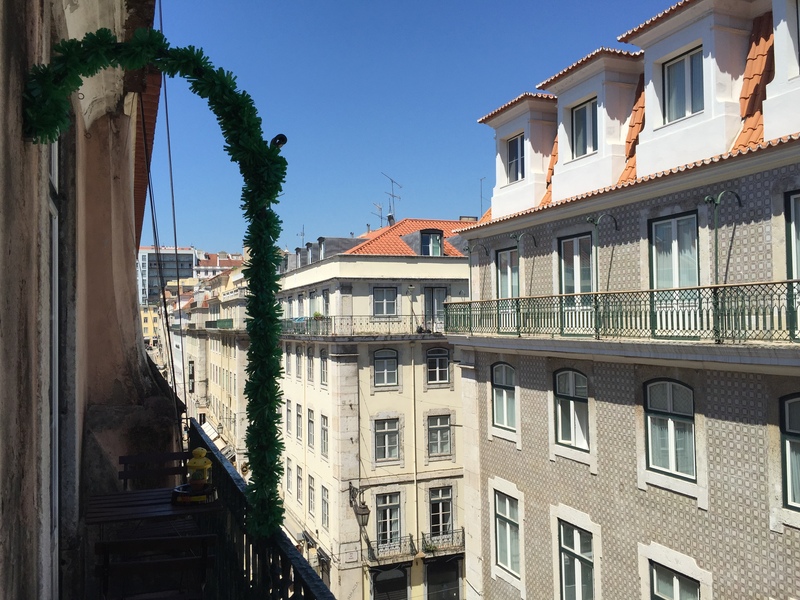 In June I re-visited Lisbon on my way to Azores and spend there two weekends. 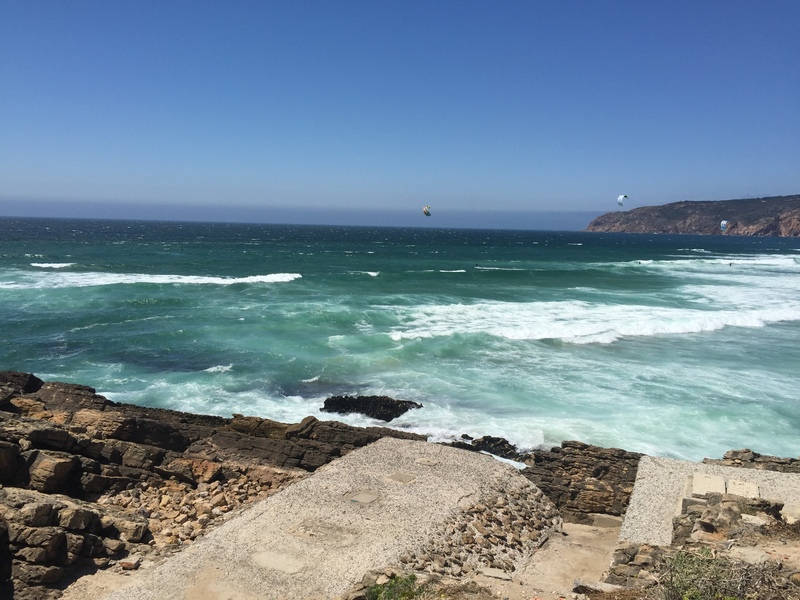 I was lucky enough to live the last days of the Santo Antonio festivities and visit my favourite beaches: Guincho and Caparica. The city shined in the light of the sun, or yellow lanterns during the night. It changed greatly as well. The infrastructure is much better since the airport connects the city centre with a metro line. 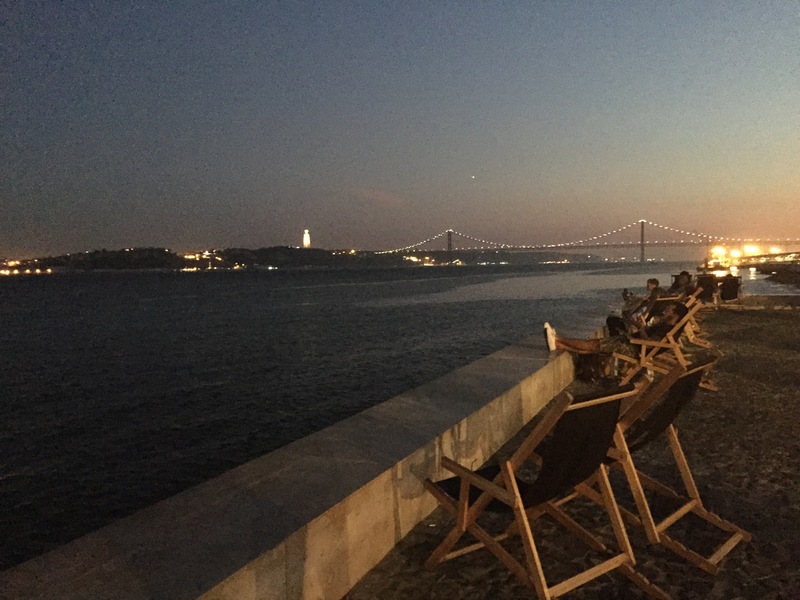 The Tagus river bank has now a boulevard to enjoy the sunsets while listening to the urban beat (often: Brazilian, Angolan combo of sounds – so good…). There are, however, more tourists than before. 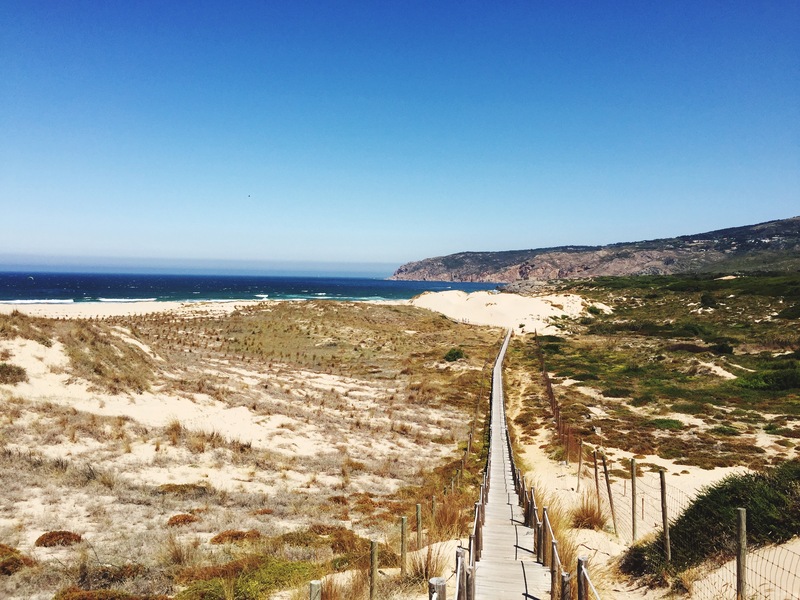 Lisbon became one of the ‘hottest European destinations’, and it is perfectly understandable. 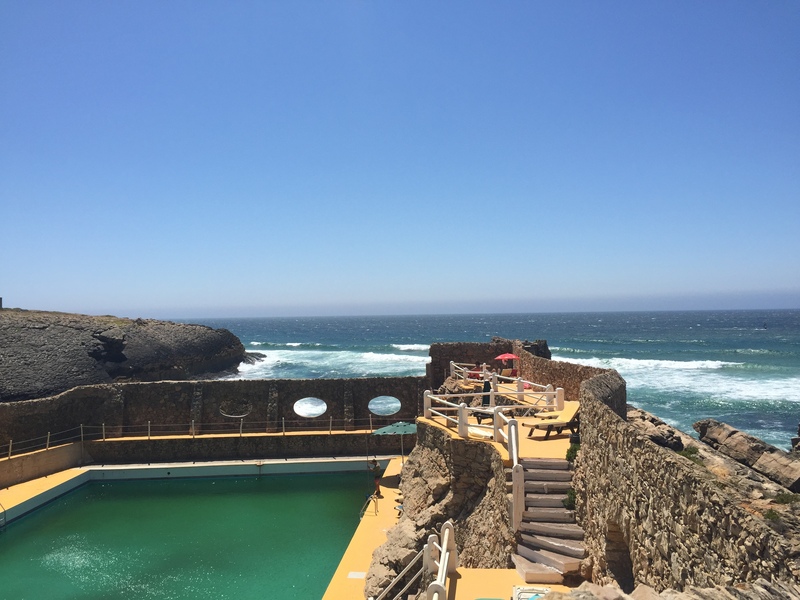 Fascinating history, quirky architecture, sunny weather, best beaches in Europe within 1 hour drive reach, great cuisine, English-speaking services and affordable prices. Sounds great, but too familiar for someone who lived 4 years in Barcelona, where ‘normal life’ has become unbearable due to the massive tourism. That’s why I am worried that the authenticity of Lisbon is at risk. My Lisbon friends no longer visit Alfama, as it is mostly invaded by tourists on segways, or worse: tuk-tuks creating serious traffic jams (!) on the little cobblestone streets. I don’t want to rant about tourism in general. This is what we all do if we want to discover new places, don’t we? But then let’s call it travelling. 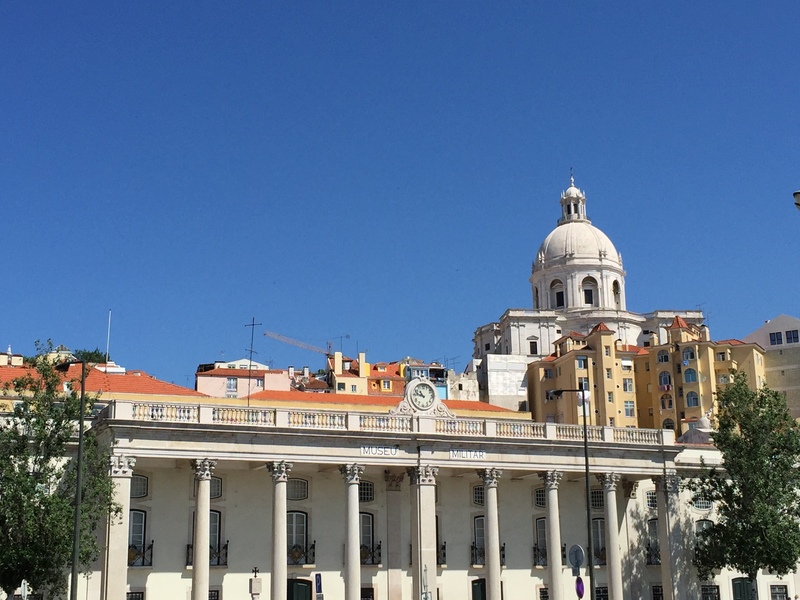 Lisbon is one of its kind, special location and I always love to come back there, but when I do, I try to respect the locals, and their everyday lives and customs. I always feel so welcome on the tiny streets, bars and pastelerias where time stopped years ago. I look at the faces that have seen different times, and now staring at the unconscious or intoxicated tourists passing by with the same indifference. 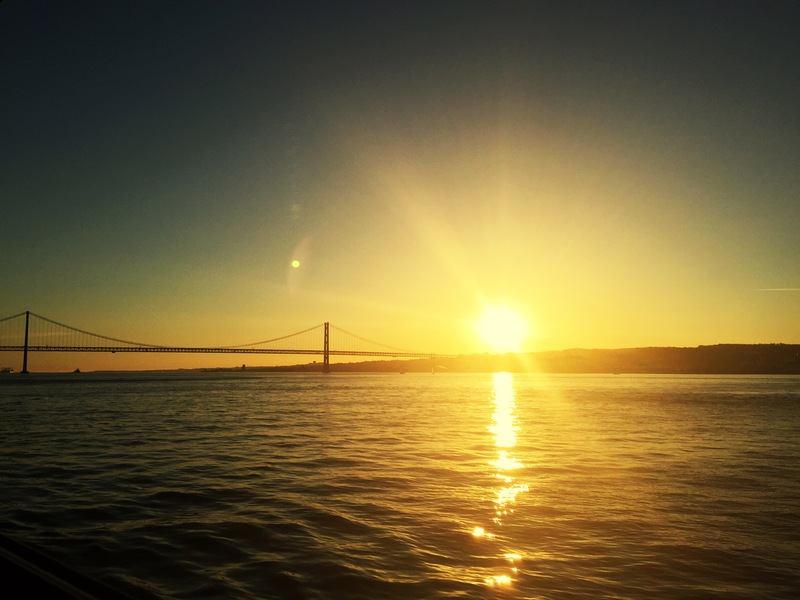 Yet if you try to live the spirit of the traveller living the night and day of Lisbon, you will notice the difference. Bem-vinda seja, Lisbon seems to tell me anytime I land there. And soon I’ll be there again, on a my way to a very interesting art conference! Call it food for thought for a Monday evening. I got recently inspired by the political science research collective to share an impactful photo taken in one of the BRIC countries. They are starting a campaign called Rising and Declining Global Powers and they took the urbanization, relative poverty and mass transformation of the BRIC regions as a good start of the dialogue about the major issues in 2015. So Brazil in my lense is, sadly, not only beaches, stunning landscapes and happy people. There is rage, poverty, and unpredictable growth of the mutant cities (aka politically correct cidade satelita). This image was taken one morning when I was doing the daily 5 km run, on a very popular trail surrounding one of the neighbouring cidade satelita of Brasilia, Aguas Claras. With my European mentality I could not tell where the borders between the safe and totally uncontrolable neighbourhoods (aka favelas) begin. There are often none, and different groups live next to each other. I decided not to care too much about it, regardless of noticing the 5m high electric fences in front of the households. And there he was, on a 8-lane-drive, surrounded by different kind of cars, a man riding a horse-drawn vehicle. He looked so surreal with among these skyscrapers and 4x4s, as if he was one of the few underprivileged remaining. Especially that I’m talking about the Brazilian capital, the richest place in the country, if not the whole South American continent. Also, as I later learnt, the capital of inequalities. Looking at this crazy Brazilian dynamics during my travels in 2011 and 2013, be it Brasilia, Recife, Natal or SP, I thought about the possible crisis and what it may entail in the future. Having previously seen the dramatic real estate bubble in the Southern Europe I was somewhat cautious. Not that I am a nature-born pessimist, I just know that leaving the capital in hands of 1% of the richest won’t lead to nowhere. Well, possibly to world’s widest roads ridden by men on horse-driven vehicles. There is no other language that makes my soul happy as much as Portuguese does. Even that nowadays I discover the beauty (ja!) and funny particularities in German and meet amazing people here, I feel that a part of me belongs still somewhere else. But it’s no longer just an empty feeling of longing aka saudade, it’s rather enriching and empowering on various occasions. In other words, it motivates me a lot to understand and be understood till some extentent in the language I once thought impossible to learn (German) but still think and feel in Portuguese when it comes to certain things, even though I am not a native speaker. Just as friends can become our family of choice, I believe strongly that for linguistic freaks foreign languages can play a similar role! Also, I caught myself speaking with my Brazilian colleague passing to English ‘when it comes to business’ and leaving Portuguese for purely fun times. I unconsciously bump into the Brazilians and speak about piadas and bagunças long hours. Same goes for Spanish, but that’s another story. Well, I am not alone, and finally I discovered a documentary film which connects the most interesting aspects of this language: Lingua – Vidas em Português. Multilayered, spoken over different parts in Europe, Americas, Asia and Africa, Portuguese is now not only a language that came from the colonial ancestry, but that has merged different races, roots, tribes and geographical locations. My father used to tell me long time ago that both the Southern hemisphere and the Portuguese language are the future of our globe. He was a visionary and extremely wise person with a capacity to predict different economical processes long before. He was thus always pushing me towards learning this niche language back in a day, as he believed that I will succeed somewhere in this big world. It was a great revelation to see how Portuguese language has shaped the lives of others, but most importantly, to know that I am not the only one to feel the multicultural and ethnical particularity which probably no other widely-spoken language of nowadays has. This is one of the guest posts dedicated to the thinest, yet the longest country on our planet – Chile. A fascinating and remote country which is surrounded with natural frontiers: be it Cordillera de los Andes from the East, Pacific Ocean from the West, the driest desert on Earth – Atacama from the North or the most hostile sailing route from the South – Drake’s Passage separating the South American mainland from the Antarctica. Oh, and the Easter Island, the most secluded place on Earth. I was lucky enough to travel around the Mid- and Northern part of Chile during a couple of weeks in 2011, thanks to my very close friend who is currently dedicating a great deal of his time to the community project in Patagonia. My memories and the necessity to put my experience in writing were triggered though by assisting lately in the world’s premiere of the Chilean movie – ‘El Botón de Nácar’, a second part of the documentary covering the geographic and historic complexities and ambiguities of this country. I was not surprised when the movie won the Silver Bear prize at the Berlinale for the script, as I was amazed by the sheer beauty of its poetic narrative. Since then, I followed up with the first documentary called ‘Nostalgia de la Luz’, picturing the Atacama desert from two perspectives. One of them is a search for discovering the past of the galaxies through the astronomic observatories located on the Atacama Desert due to its clarity of the sky. The second one is seen through the lense of the group of elderly women still looking for remaining human body parts of their relatives, who were imprisoned, tortured and ultimately killed and thrown all over the desert during the military regime in the 70s. I remember my amazement by the clarity of the starry constellations, the light of the desert sun, but also the inexplicable melancholy that could be read in people’s faces. I reconnected with this familiar feeling which I often got when had lived in Poland, surprisingly in the most far-off country in the world. And I still keep the grains of Atacama’s salt and soil with me wherever I live, to keep this moment present. I know, the carnival is officially over. And I only realized it by now, maybe due to the fact that for the first time in 5 years I live in what is considered Far North Europe by the Latin standards. Where some of the best DJs (in my humble opinion) play every weekend (till Monday afternoon and beyond, depending on a place) and there is just not so much ado about it. But still, colourful pictures of my Brazilian friends remind me of that special time of the year when anything is possible! I was lucky enough to spend the consecutive past years in locations such as Cadiz, Sitges, Praia do Pipa and Madeira which are famous for absolutely crazy festivities around that time! I may miss the spirit of the sun, sweat and party abandon, making lifetime friends in an instant and simply ficar but to be honest, the party and cultural scene of Berlin pays off the chagne, being probably one of the most open-minded spots in Europe. Still, the city seems to be changing very abruptly from the creative hub to a business-minded city like London or Paris. I hope to grasp the best of it while I can. When I miss the sun and Southern spirit most, I cling back to Spanish- and Portuguese-speaking friends and colleagues in town, OR I listen to various podcasts, such as Gilles Peterson in Brazil which gives a great insight into the Brazilian soundscape from samba classics, through funk to electronica. Or I secretly tap samba rhythm to the famous carnival anthem! 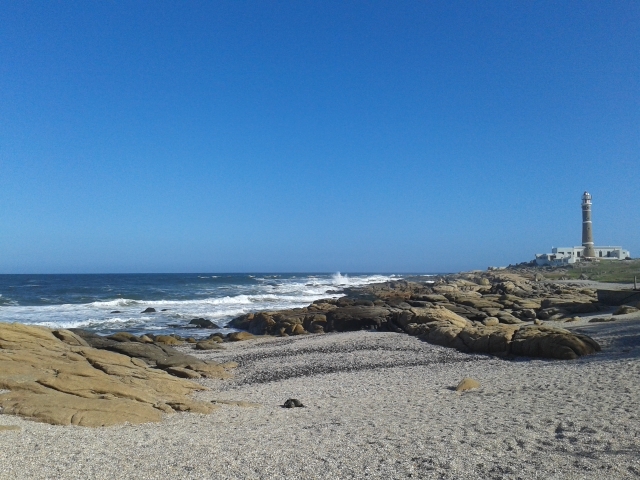 For those who are still wondering if I plan to keep writing about soundscapes full of sun, heavenly beaches and related, I made the resolution for 2015 to update the blog regularly. Yeah I know, no one keeps the New Year’s resolutions, but let’s give it a try. Last weeks has been filled with integrating in Berlin, and for this purpose, new blog has been created. I am still so high on this city’s vibe I could spend hours writing, if only I had some spare! Now, contrary to the wintery, shortest days in this part of the world, I am escaping to the Europe’s southern-most archipelago to charge my solar batteries and breathe Ocean’s breeze. With this, I wish you all who care about me and/or the blog, lovely holidays full of warmth, be it literally or metaphorically! So here I am, based in another city with Yellow Trams. Berlin is obviously very different than Lisbon or any other place I was placed during last couple of years, but I am falling in love with it for countless reasons. Firstly, for its cafes where you can spend literally whole days and nights (but who would in the end, where there is so much going on!). I noticed that for the Kaffee & Kuche offer, pasteis de nata are very much in fashion. Secondly, for its relaxed atmosphere. It definitely grew a serious competitor as ‘the-best-city-to-live’ for London and Paris, but it is unbelievably laid-back and casual comparing with those two. Somewhat it reminds me of Barcelona back in the good old days before it became so overtly commercialised, only the weather is… well, different! Last but not least I am amazed with the diversity: not only between the neighbourhoods but also within its inhabitants. By the morning walk I took nearby the Spree River, I heard a woman singing this wonderful Brazilian classic… And until now I just can’t get it out of my mind. The cultural programme is just overwhelming and I am already wondering when will I find enough time to visit all the places I want to! Speaking of which, there is a Brazilian Film Festival ‘Premiere Brasil’ in Haus der Kulturen der Welt starting off Wednesday 29th October. It presents last year’s best Brazilian productions and is prepared in the cooperation of the Rio de Janeiro International Film Festival. I am sure this one will be in the top 5 of my to-do-list for the forthcoming week! Pasteis de nata – heavenly-tasting custard tart, the most famous to be found in a famous pasteleria de Belem aka Pasteis de Belem. Currently conquering the bakeries worldwide.